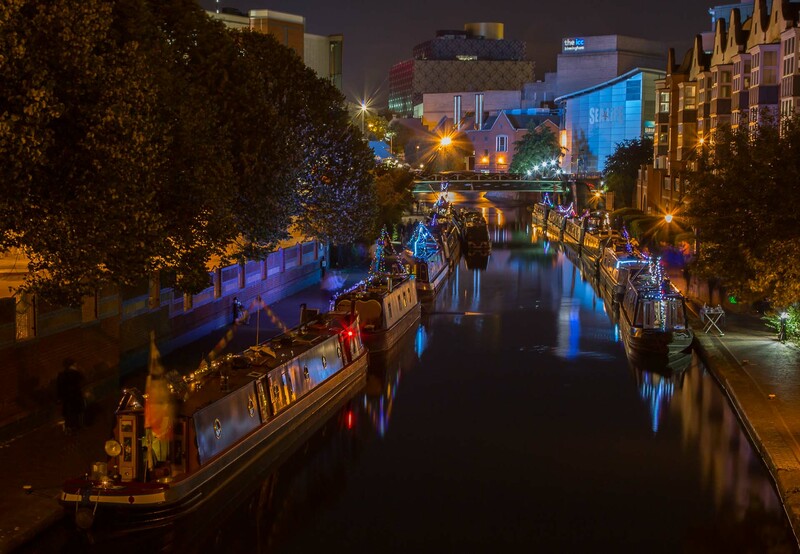 Below is a gallery of photos from various canals and are chosen on their individual merit -the selectin will vary over time. 1. View a larger version of a single image in a separate page – Right Click on the image then Left Click on “Open link in new tab” or “Open link in new window”. 2. Display an enlarged gallery – Left Click on an image – use the large side arrows to move between images – Left Click outside an image or press ESC to close the enlarged gallery. Any photo displayed can be viewed full size in a separate window by clicking on “View full size” below the photo. 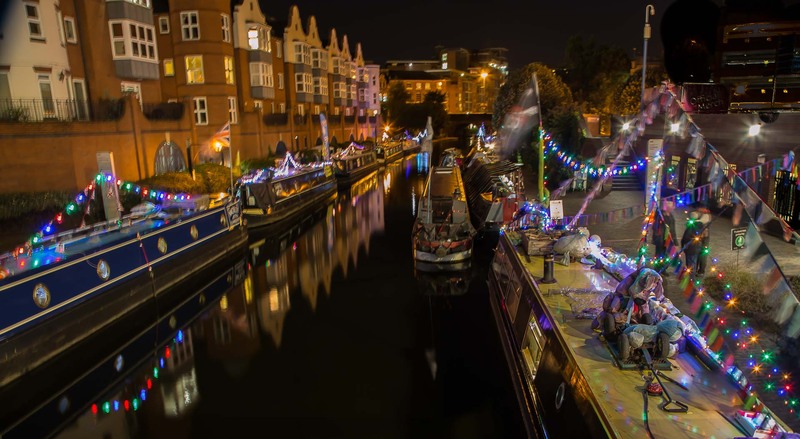 Floating Market boats at Brindley Place, Birmingham, evening of 25 September 2016…. 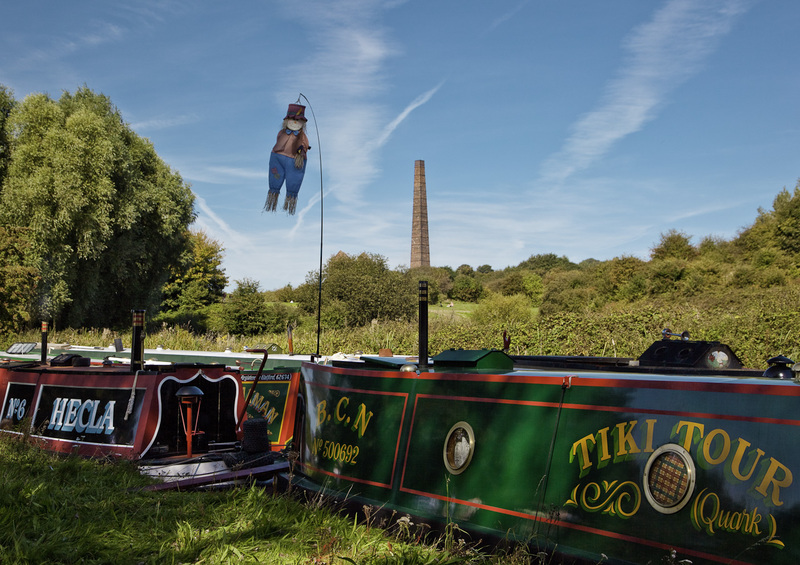 Striking scene created by an imaginative boater in the The Black Country Festival 2009. 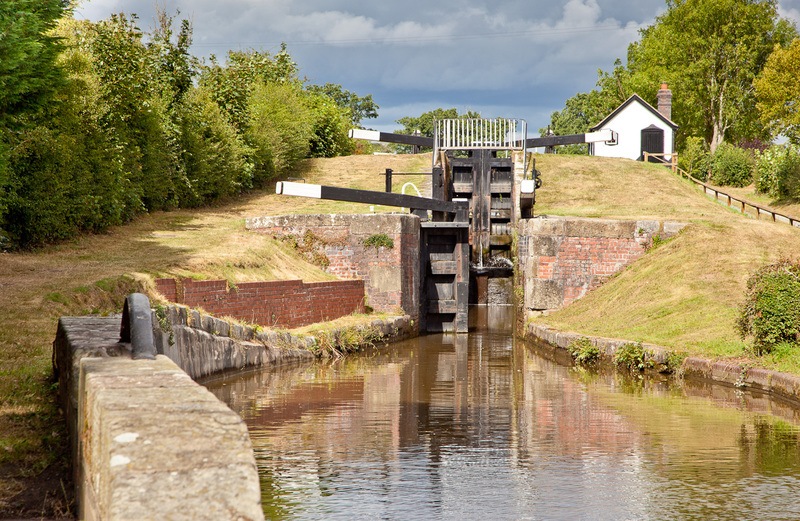 Two lock staircase being the first along the Montgomery Canal from Frankton Junction with Llangollen Canal. 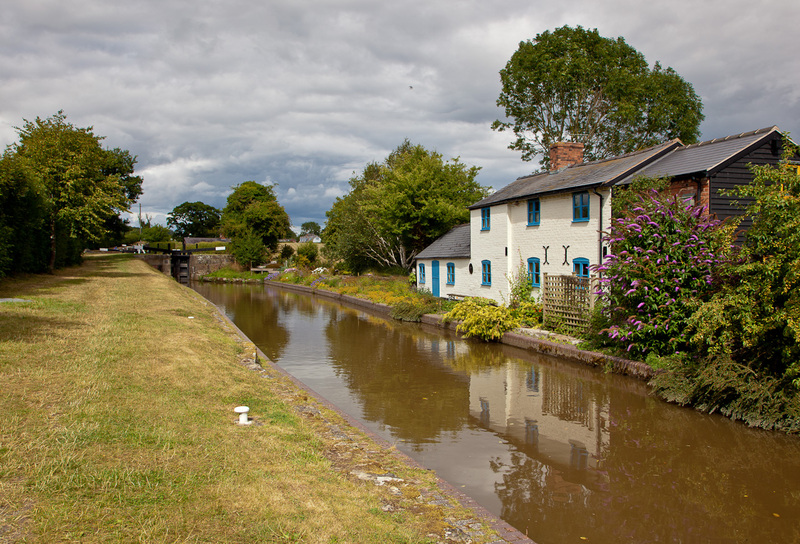 Cottage South of second Lock along the Montgomery Canal from Frankton Junction with Llangollen Canal. 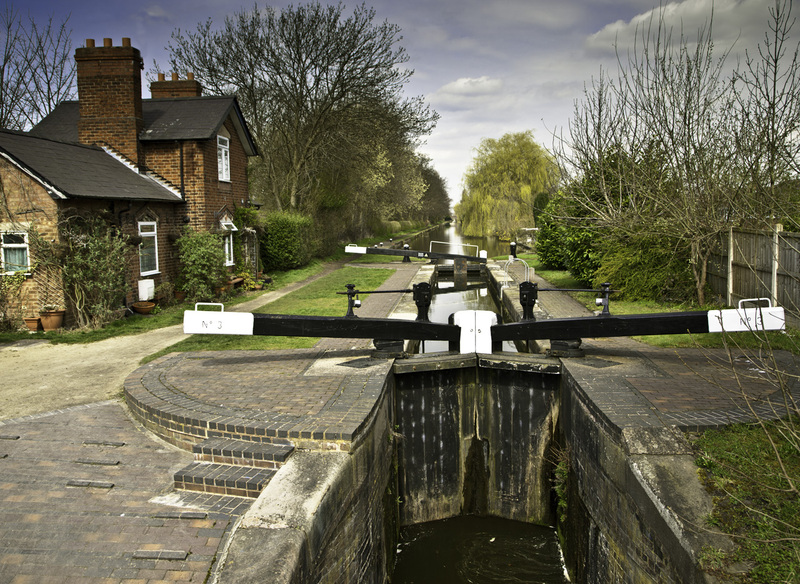 Worcester & Birmingham, Lock 18 at Astwood. Caen Locks on the Kennet and Avon. 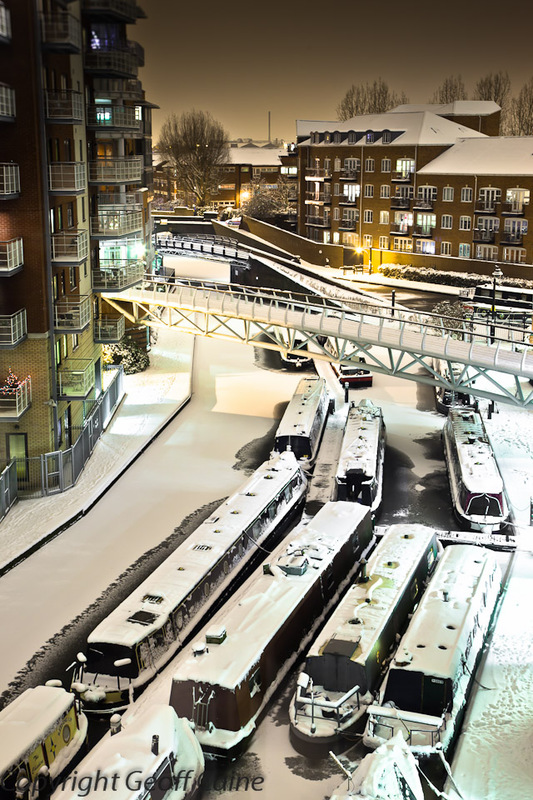 BCN , Oozels Loop, Central Birmingham, looking North, taken from my apartment. Total freeze gridlock! No boats have moved passed here since 17 December. Picture taken in the dark. 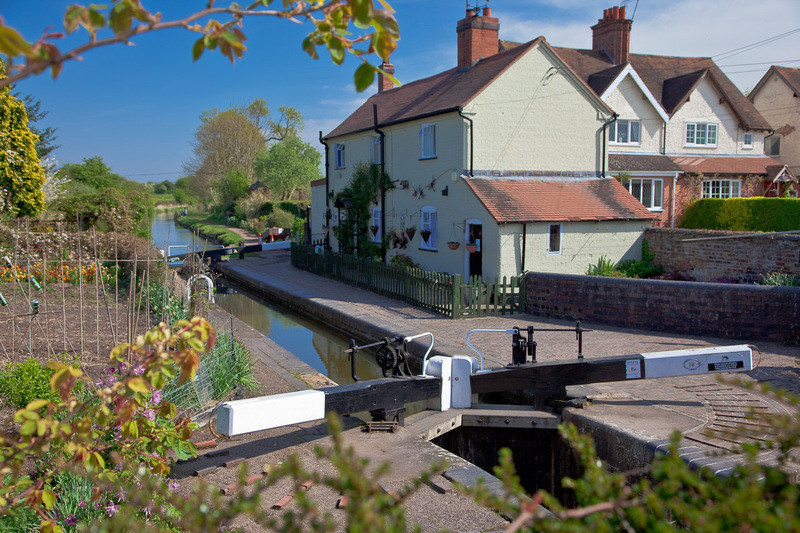 The Lock Keeper’s cottage residents must work very hard on the whole of the bridge to provide themselves and visitors with a very tidy and visually exciting experience. It’s well worth a visit and linger a while exploring this niche in flaming June. Braunston Locks, on Grand Union looking over Lock 1. Photo taken on 22 June 2010 in superb Spring weather. 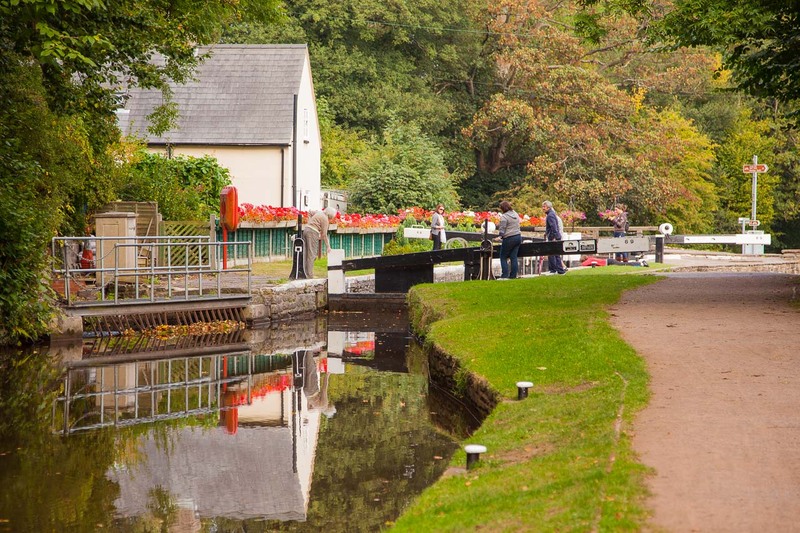 This is a true canal and rural visually mixed experience. 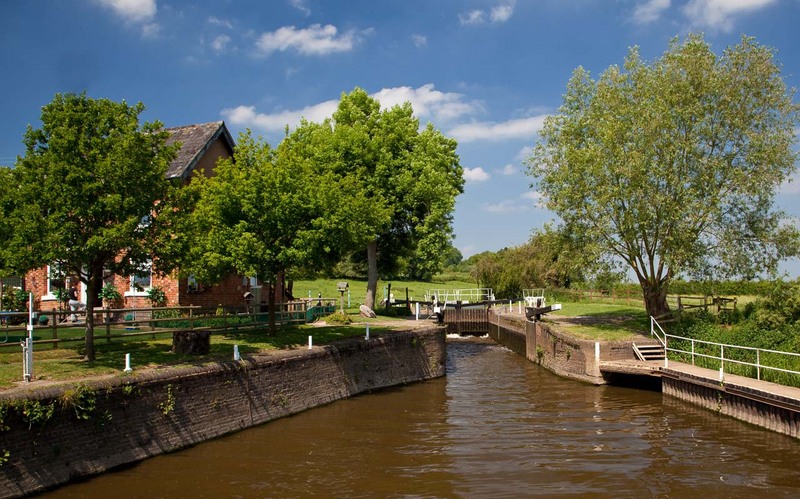 There are 6 locks in all set in rural surroundings but all close to the village. 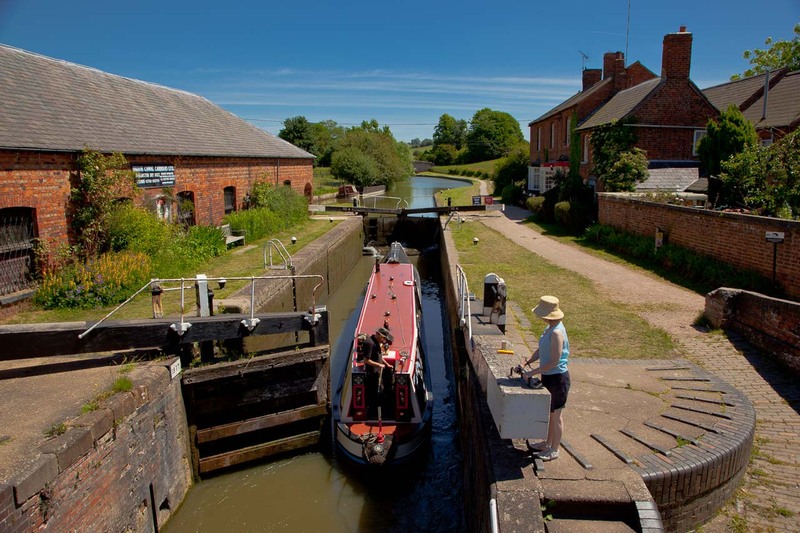 They lead up to Braunston Tunnel which can be “legged” if you want a purist experience, I’m told. 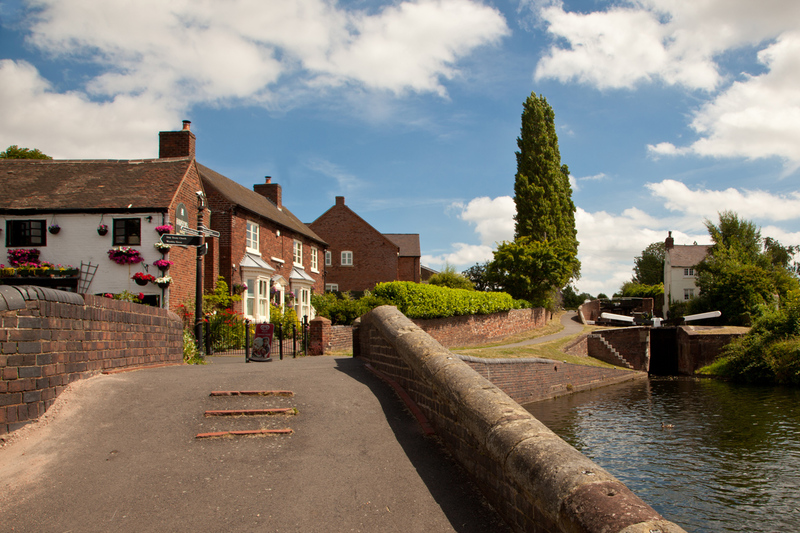 Great Haywood Junction, of the Trent and Mersey with the Staffs and Worcester canals 4 miles East of Stafford. (The Staffs and Worcester bears off to the left from the bridge on the extreme left). 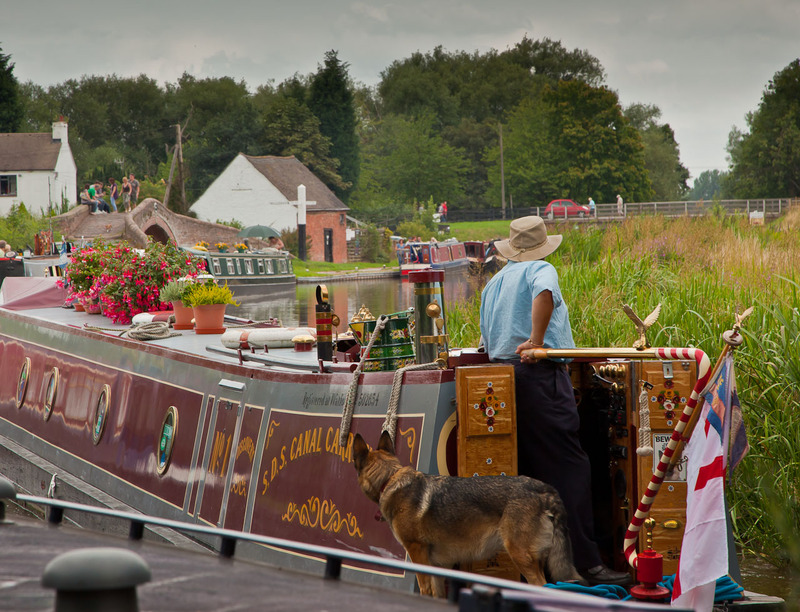 This is a very popular place for those cruising to moor for the night and also for visitors to Shugborough Hall which is just across a canal bridge from Great Haywood Village. There is a delightful coffee shop/cafe by the bridge which overlooks the canal. Number 3 Lock on the BCN Rushall 9 locks flight in Walsall. An underused part of the BCN which is a pity because it is a welcome rural relief from Walsall’s urban area. 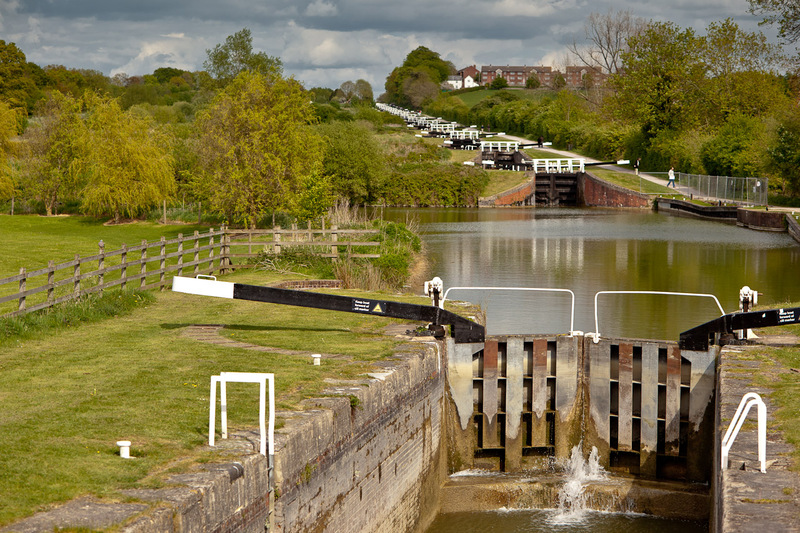 River Avon – Strensham Lock off Jn 8 of the M5. 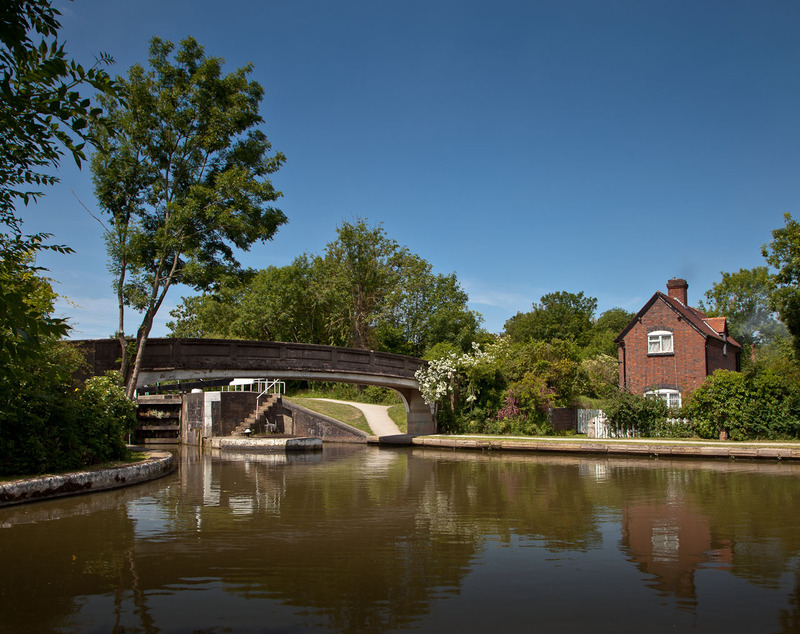 The house is situated on an island between the Avon river weir and the lock bypass waterway. Mon & Brec canal – Looking E to Brynich Lock 69, 4km SE of Brecon.